Here's a picture I drew of Krystal from the "Star Fox" video games having a shoe problem. As you can see, she is upset to see that her feet have grown to a point where her high heels rip. Krystal is thinking, "Those were my favorite high heels!" as she sees how her feet have grown out of the shoes. 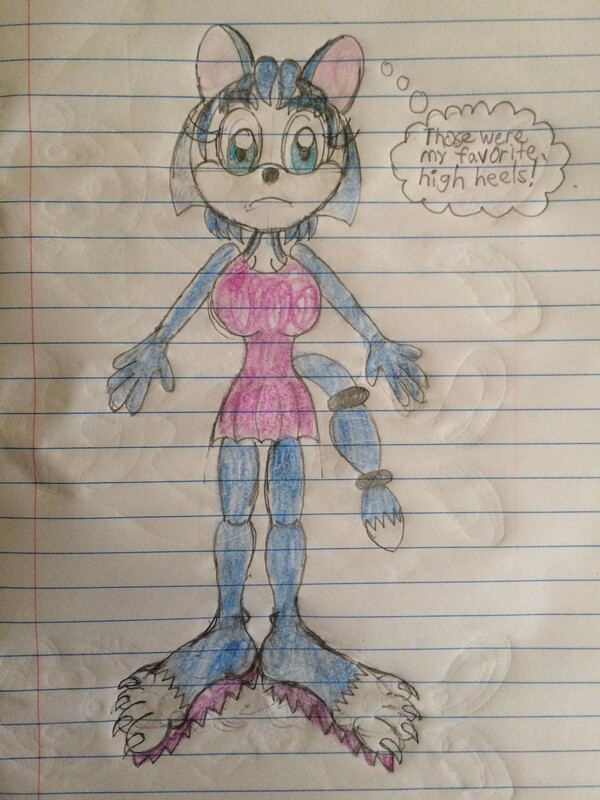 Look, Krystal; your tootsies weren't meant to be trapped in those uncomfortable shoes. But hey, you should have no problem getting the attention of guys who like gals with big feet.